Rolex was founded by Hans Wilsdorf in London in 1905, specialising in the distribution of timepieces. His vision was to create wristwatches which were much more elegant and reliable than what was available at the time. To get the accuracy he required he equipped his wristwatches with small, precise movements made in Switzerland. It was the accuracy of the watches which first made Rolex famous. Becoming a byword for precision after being the first watch, outside of a marine chronometers, to be awarded a class “A” precision certificate by Kew Observatory. In 1926 Rolex created the first waterproof wristwatch, the Oyster. This watch featured a sealed case which provided unrivalled protection for the movement. The Oyster was put to the test in 1927 when Mercedes Gleitze, an English swimmer, attempted to cross the channel wearing one of these watches. The attempt lasted 10 hours and the watch was in perfect working order when later inspected. Rolex’s next step forward was the Datejust. This was the first self‑winding wristwatch to indicate the date on the dial, displayed in a small window at the 3 o’clock position. The watch is still one of the signature models in the Rolex range. These watches hold their value well and older versions still regularly sell for over £10000. This year Rolex is updating the Datejust 41. The new models will use the new caliber 3235 movement and feature two tone steel and gold bracelets. In the 1950s, Rolex went through a period of developing watches with professional applications. These included the Submariner, perfect for deep-sea diving as it was waterproof to 100 meters and included a rotating bezel which could be set to show immersion time. The GMT Master, which allowed transatlantic pilots to track the time across multiple time zones using an additional hour hand. And The Milgauss for the scientific community, designed to be resistant to magnetic interference. 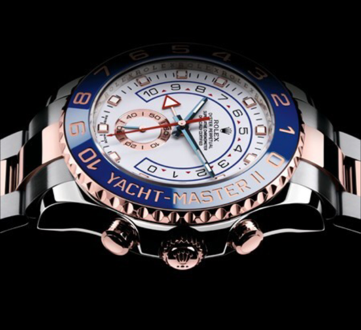 Over the last 30 years, Rolex has been leading the way in the watch making industry. They were the first company to use 904L grade steel, previously used in the aerospace industry, for their casings. 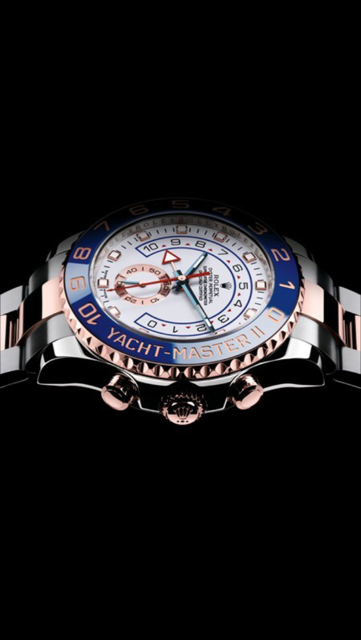 This gives their watches increased protection from corrosion and an exceptional overall finish. They also patented the Cerachrom bezel. “Virtually impervious” to scratches and unaffected by UV rays, this diamond polished hard ceramic material ensures your watch stays looking as good as the day it was made. They also released their first all new movement in 50 years, the caliber 4130. First used in the Cosmograph Daytona, it is much simpler, accurate and easier to maintain than previous mechanical movements.